هذا الموقع هو خلاصة لرسالة دكتوراه عن العلاقة بين النظام الاردني و الاخوان المسلمين في الاردن. الاخوان المسلمين في الاردن معروفون بعتدالهم، هذه النظرة الايجابية كانت نتجية لعلاقة الشراكة السياسية مع النظام الاردني لبناء قاعدة اجتماعية خاصة بهم. لكن هذا الوصف لم يعد صالحا لوصف العلاقة بين النظام و الاخوان الان؟ . من وجهة نظر النظام الاردني، فأن الاخوان غير مقنعين بدور محدود بتأثير من حماس و الاسلاميين في المنطقة. اما من وجهة نظر الاخوان فهم يعتقدون ان انظام لم يعد يراهم من منظور الحليف واعاد رسم الديمقراطية الاردنية لتهميش دورهم من اي مشاركة سياسية و اي عملية اتخاذ قرار. This is the summary of my PhD thesis. 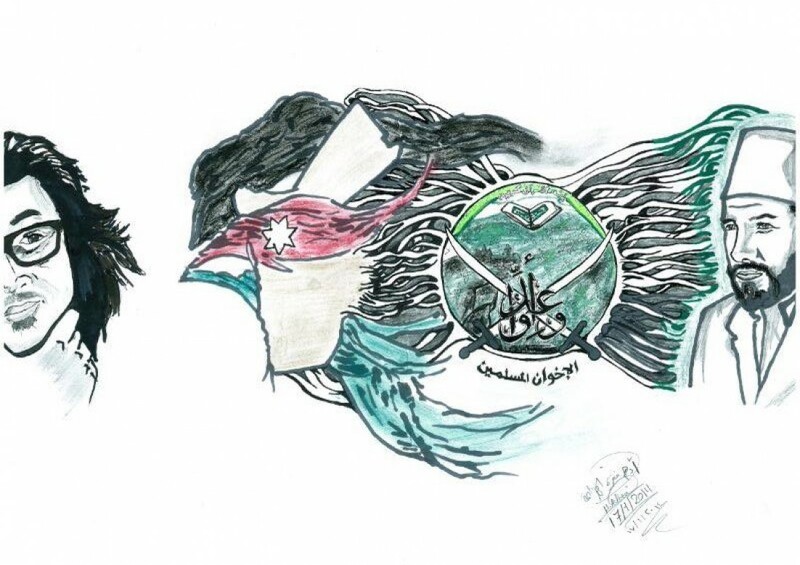 The Jordanian Muslim Brotherhood is known worldwide as a modernist Islamic group. This positive description was gained through the political partnership between the Regime, Governments and the Muslim Brotherhood to build the Jordanian social system. However, this description is not valid to explain the Muslim Brotherhood today, due to the political crisis that this relation has reached. The State claims that the Brotherhood is not satisfied with their limited political role, under the influence of Hamas and other Islamic parties in the Middle East, whereas the Brotherhood argues that the State does not consider the movement in the same scope that it used to be and re-shaped the political democratic system of Jordan to exclude them from their participation in the political decision-making process. What Changed? And how has this change happened? This Website will analyze the role that political Islam plays in Jordan through examining the case of the Muslim Brotherhood since the establishment of the party until present, and their place on the map of the political Islamic movement in Jordan. This website will present the effect of Islam in defining the state politics which are influenced by the Muslim Brotherhood’s role in defining its political agenda. This part will shed light on the background of the relationship between the party and governments since 1993 and presents the historical shift in the relations after 9/11. Furthermore, it will present the internal structure of the Brotherhood of Jordan and the intellectual and root division between its members. Thus, in order to analyze the question mentioned above, the study will deal with the Brotherhood in the general context and tackle the evolution of the relationship between the state and the Brotherhood from alliance to crisis, reviewing the Muslim Brotherhood’s perspective on democracy and participation in political life. It will also focus on the causes and factors, explaining the Brotherhood’s popularity and parliamentarian majority in various periods of time. How do you see the futur of Islamic brotherhood in Egypt ?! ?